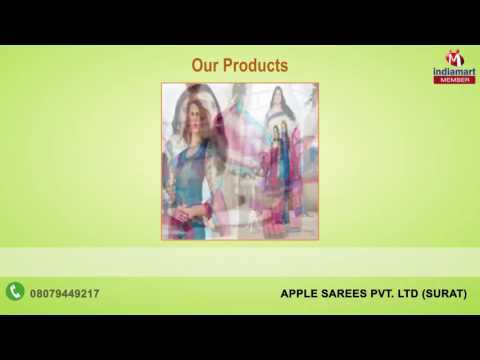 Established in 2011 and working to fulfill requirements of its clients across the globe, Apple Sarees Pvt. Ltd. is one of the reputed manufacturer, supplier and trader of Designer Sarees and Lehengas. Our Fancy Saree, Designer Saree and Indian Saree have various unmatched features and are highly appreciated by our existing customers for their skin friendly fabric, elegant appearance, excellent detailing, colorfastness and soft texture. Using superior quality threads and fabrics, our products are fabricated as per latest trends Tailored by experienced craftsmen, careful and prudent designs the offered sarees are available in several colors, sizes, patterns and designs. Furthermore, with an ability to carry out bulk production without decreasing the quality of the products.